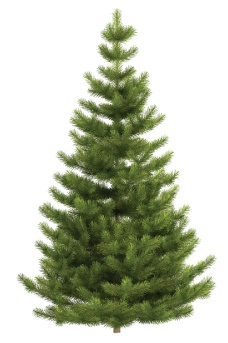 Boulder City, NV - From December 26 - January 15, you may drop-off your Christmas tree for free at the Bravo Ball Field parking lot located at the corner of Avenue B and Sixth Street (south of the public pool and racquetball complex). Remove all non-organic objects such as lights, wire, tinsel, ornaments and nails. Foreign objects contaminate the mulch and damage the chipper. Trees that have artificial snow on them cannot be recycled. We encourage you to use mulch for landscaping! Please bring a shovel and container and pick up some free mulch at Acacia Demonstration Gardens in Henderson, December 26 through January 14. For more information about the Christmas Tree Recycling Program and other drop-site locations please visit www.springspreserve.org/apps/tree-recycle/index.cfml . or call (702) 293-9200 and they can assist you! After Jan. 6 2018 please take your Christmas Tree to the Carson City Landfill for recycling. Trees left curbside after Jan. 6 will be disposed of as garbage and will need to be cut into three foot sections so they will fit into the Waste Management trucks.If you have questions call 775-887-2355 ex 7376. The Christmas Tree Recycling Program operates from Dec. 26 to Jan. 15 with more than 30 drop-off sites throughout the community. To find the closest one to you, visit the Las Vegas Springs Preserve website page. Locations include several parks and Lowe's stores and these sites: For more Information, click here . - Mountain Crest Park, 4701 N Durango Drive at Lone Mountain Road. - Las Vegas Springs Preserve, 333 S. Valley View Blvd. The trees are recycled into mulch, and the mulch is put to good use in public parks and gardens to help conserve soil moisture and keep plants healthy. 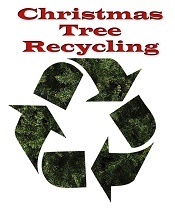 Recycling your tree is a gift that will keep on giving back to the community. It's important to remove all non-organic objects such as lights, wire, tinsel, ornaments and nails from trees. Foreign objects contaminate the mulch and damage the chipper. Frocked trees, those covered with artificial snow, cannot be recycled..
Douglas Disposal: Curbside collection the week of January 5 on your regular trash day. Six foot lengths or smaller. Douglas County: Jan. 8-11, 2019. Tahoe Township and Carson Valley: curbside pick-up on your regular trash pick-up day (6ft. sections or smaller). Douglas Co. residents can also drop off their trees at Lampe Park, 1324 Waterloo Lane in Gardnerville, from Dec. 26 - Jan 25, 2019. Sponsored by the Douglas County Parks Dept. and Bentley Enterprises. Please remove all ornamentation and tree stands, and place your trees close to the curb. Do not place trees in the alley. Trees not placed close to the curb will not be picked up. City crews will not enter private property to retrieve trees. Trees will be picked up according to the schedule on their website. Get your tree out by evening of January 6th if you want to be certain. Crews will only pick up Christmas trees within the Elko City Limits. Beginning December 25th, anyone wishing to drop off a Christmas tree may bring it to the parking lot on the corner of VFW Drive and Court Street. The area will be designated with a sign. For additional information contact the Street Department at 775-777-7241. Fernley, NV - Dec 26-Jan 11, 2019. Drop-off at the dirt lot behind the rodeo arena at the Out of Town Park (Farm District Rd & Highway 50A). For more information go to the website or call 775-784-9866. December 26-Jan. 15. The complete and updated list of sites is listed here . Anthem Hills Park , 2256 Reunion Dr.
Arroyo Grande Sports Complex, 298 Arroyo Grande Blvd. Either drop off at Preston Field December 24-Jan. 28, or leave your tree for curbside pickup on your regular trash day the week of Jan. 5 (3 foot lengths maximum for curbside service). Bruce Trent Park, 8851 W. Vegas Drive, Las Vegas, NV. Desert Breeze Park, 8275 Spring Mountain Road, Las Vegas, NV. Lowes, 2875 E. Charleston Boulevard, Las Vegas, NV 89104. Lowes, 4625 West Charleston Boulevard, Las Vegas, NV 89102. Lowes, 2465 N Nellis Boulevard, Las Vegas, NV 89115. Lowes, 5825 South Eastern Avenue, Las Vegas, NV 89119. Lowes, 7550 West Washington, Las Vegas, NV 89128. Lowes, 6050 West Craig Road, Las Vegas, NV 89130. Mountain Crest Park, 4701 N. Durango Drive, Las Vegas, NV 89129. Southern Highlands, Southern Highlands Marketplace, Corner of Southern Highlands Parkway and Cactus Ave.
Summerlin, RC Willey, 3850 S. Town Center Dr. Sunny Springs Park, 7620 Golden Talon Ave.
UNLV Rebel Recycling, 4505 S. Maryland Parkway, Las Vegas, NV 89154. Cheyenne Sports Complex, 3500 E. Cheyenne, North Las Vegas, NV. Craig Ranch Golf Course, 628 West Craig Road, North Las Vegas, NV 89032. Seastrand Park, 6330 Camino Eldorado. Do you have strands of non-working Christmas lights in your garage? Greener World in Carson City, Schnitzer Steel in Reno and Champion Recycling in Las Vegas will take strands of old Christmas lights for recycling and even pay you for them. Check with other scrap metal dealers in your area to see if they recycle Christmas lights. Drop off at Big Meadow Recycling Center or Pershing County Landfill. December 25-Jan. 22 at the Cooperative Extension Office (1651 Calvada Blvd.) More info at 775-727-5532. More info and volunteer sign ups at http://ktmb.org/treerecycling . Commercial Christmas Tree vendors can take their leftover trees to RT Donovan. Station 223: Lemmon Valley: 130 Nectar St. 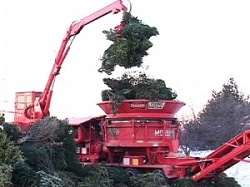 The Christmas Tree Recycling Program provides community residents with an easy alternative to dumping trees in the landfill or- as is sometimes seen- in the open spaces. Trees are chipped into mulch that is used for park and weed abatement projects and is available for free to area residents at the Bartley Ranch and Rancho San Rafael drop-off sites. Winnemucca, NV - Dec 26-Jan 15. Drop-off from 12 pm-3pm at the Community Garden at 151 McArthur St. If you can't make it then, use the drop-off box at the garden. If you have questions call 775-623-2333.